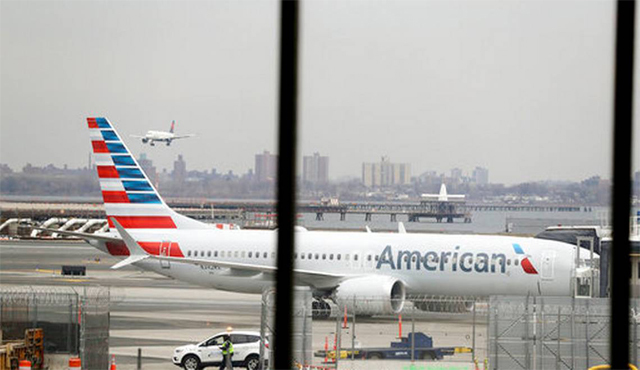 Basseterre, St. Kitts, Monday, 8th April, 2019, (MyVueNews.com) – It is not known as yet if St. Kitts would be affected by the decision this past weekend, by American Airlines, to cancel up to 90 flights, into the first week of June, due to the ongoing problems with the 737 jets. This action has become necessary, said the airline, while it awaits further word from federal aviation officials regarding the safety of the planes, in light of the March 10th crash of the Ethiopian Airlines Flight 302, which involved a Boeing 737 Max 8 jet. Also on the mind of aviation and airline companies, like American, is the October 29th 2018, crash of Lion Air Flight 610 with another 737 Max 8. A total of 346 people were killed in these incidents. American operates 24 of the 737 Max jets, as part of its fleet. Though they are not regularly used for the scheduled services to St. Kitts, the airline has in the past operated its flights to Robert Bradshaw International Airport, using that type of aircraft. Now with 90 flights being cancelled, it is not known how this may impact services to the Caribbean and St. Kitts in particular. American did not specify which flights are being cancelled. When the Ethiopian flight crashed last month, American had initially announced cancellations through to 24th April, but now this has been extended for safety reasons.